"Ride with me baby to the ends of the earth." For those people who like to take their favorite four-legged friends on a ride, the Posh Puppy Boutique has just the products to help keep them safe and look cool in the process: motorcycle helmets. And ride in style with our pink butterfly helmet. Our helmet selection includes our new Black Flower with Blue Butterfly Rhinestone Dog Helmet ($95). In sizes from extra small to large. Please note that our helmets are not Department of Transportation approved. For a more feminine look, consider our Pink Butterfly Rhinestone Dog Helmet ($95). It features crystal flowers pus tanzanite, clear and fuchsia Swarovski crystals. Follow the links to any of our helmets and you will find detailed sizing information to help you get the perfect fit. While a helmet protects your precious pup’s head, keep their sensitive eyes covered with our Silver Skull ILS or Ice Blue/Pearl ILS Doggles ($25 each). These goggles are designed just for dogs, not humans, with a deeper lens cup, wide nose bridge plus soft adjustable head and chin straps. They provide 100% UV protection, have shatterproof lenses and a flexible rubber frame. 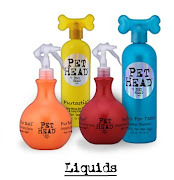 Best of all, they help keep your dog’s eyes nice and moist. Sizes range from extra small to extra large. Add some additional style to your pet’s riding outfit with one of our “Born to Ride” Motorcycle Harness Jackets in pink or black ($53 each). Made with faux leather and fully lined, it includes an embroidered eagle, nailheads and other features to help it match your own outfit. Best of all, it comes in sizes from double extra small to triple extra large to fit nearly every dog. 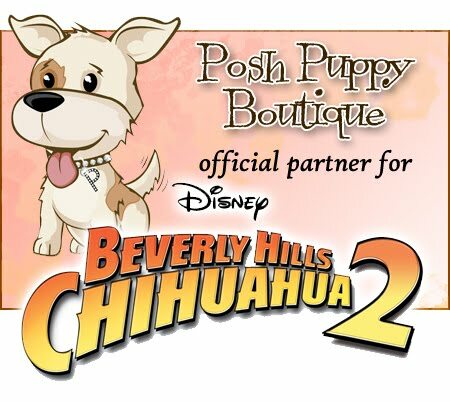 So when you’re getting to, “Ride with me baby to the end of the days,” and “Like a true nature’s child we were born, born to be wild,” ride on over to the new Posh Puppy Boutique Retail Store at 6040 Stanford Ranch Rd., Suite 200, Rocklin, Calif. opening at 9 a.m. Saturday, May 19. Sacramento, Calif. residents, get a sneak peek when we appear on Good Day Sacramento next week. Details soon.